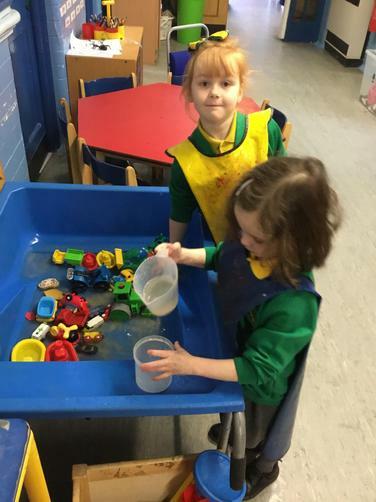 Lots of fun this week. 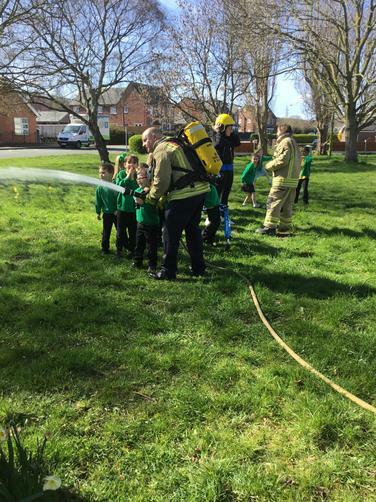 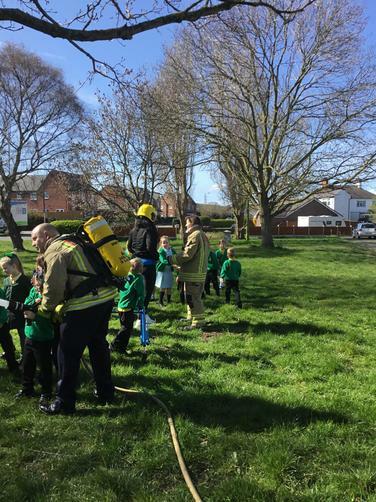 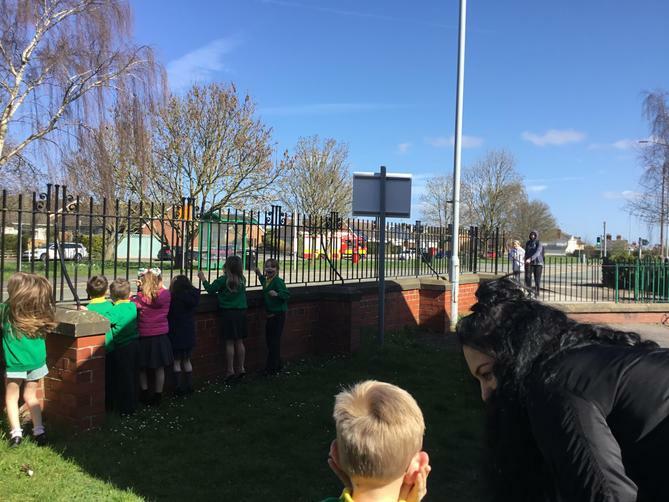 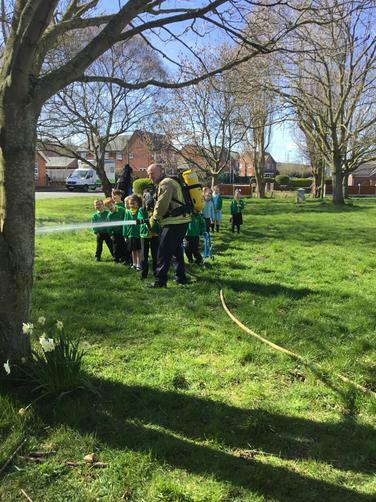 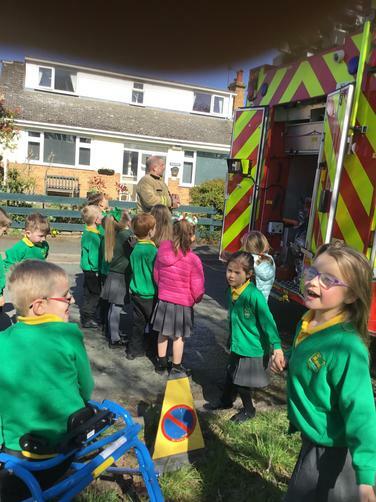 Our visit from the firefighters! 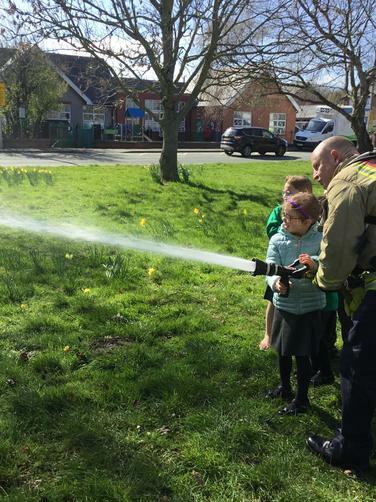 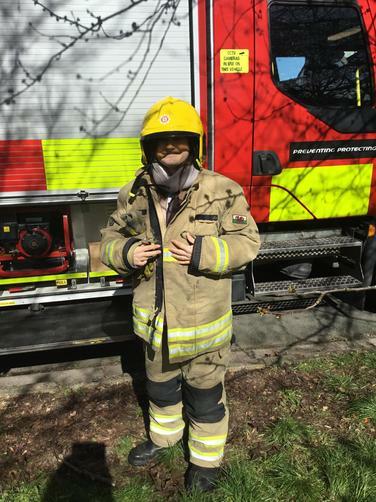 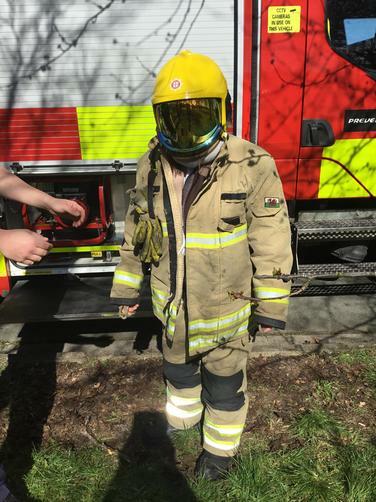 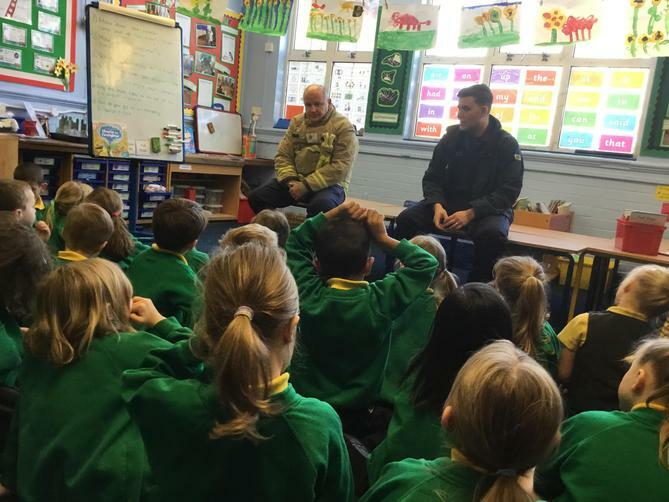 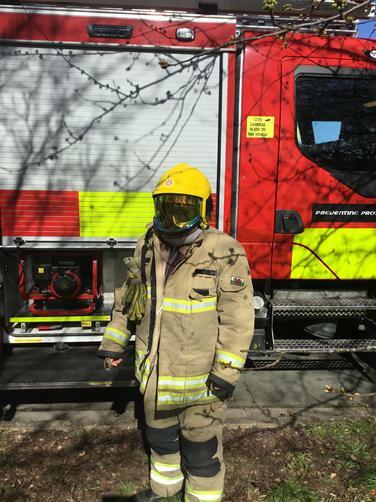 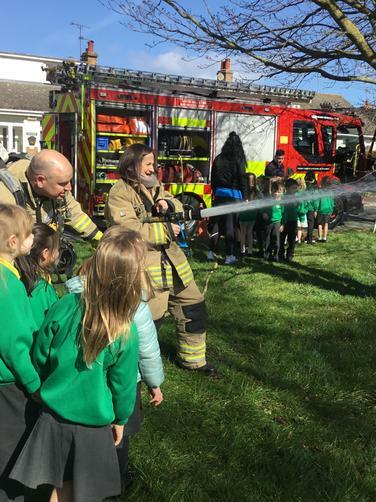 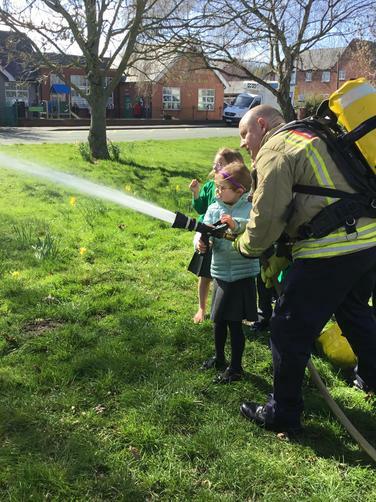 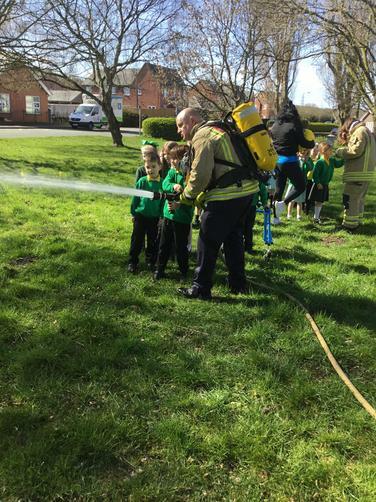 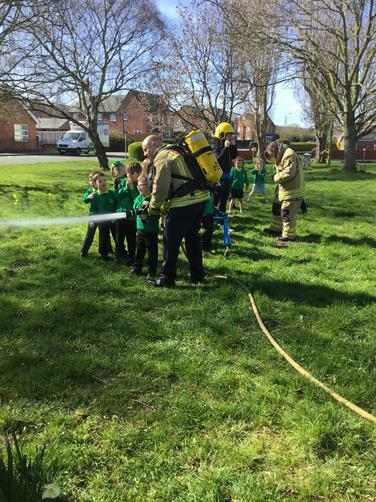 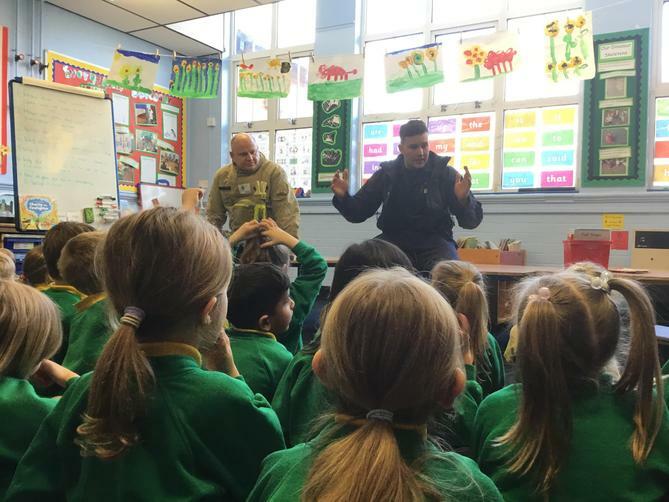 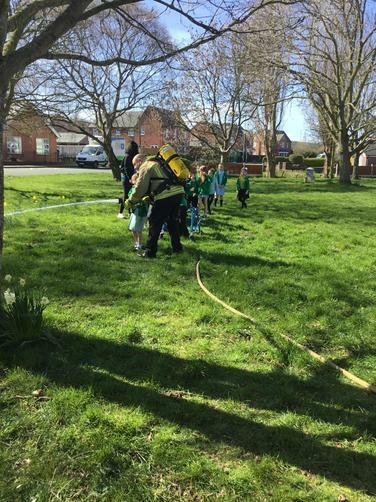 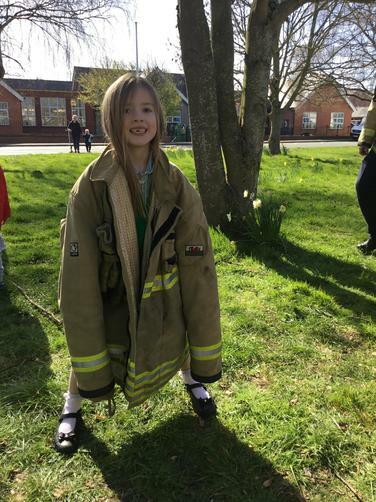 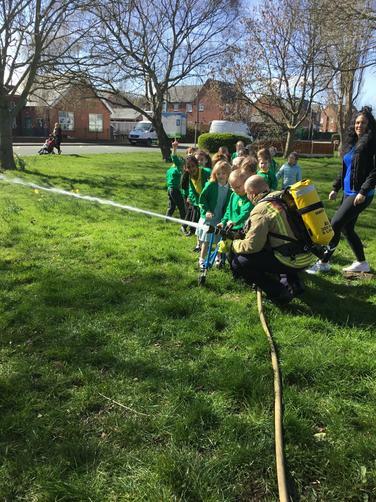 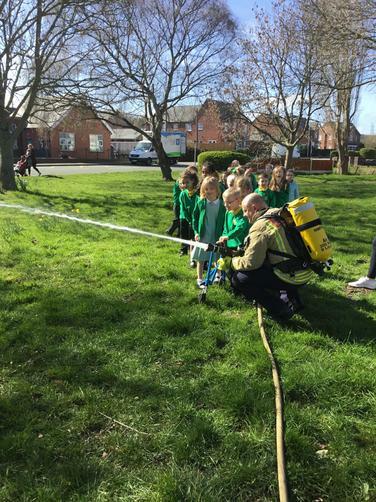 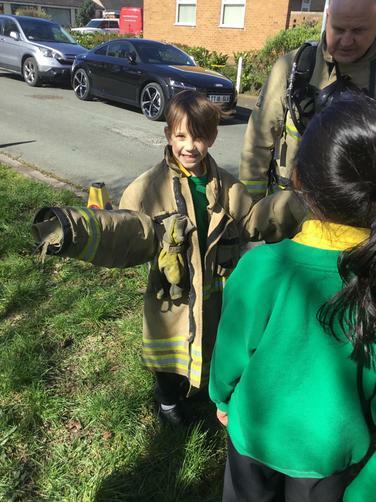 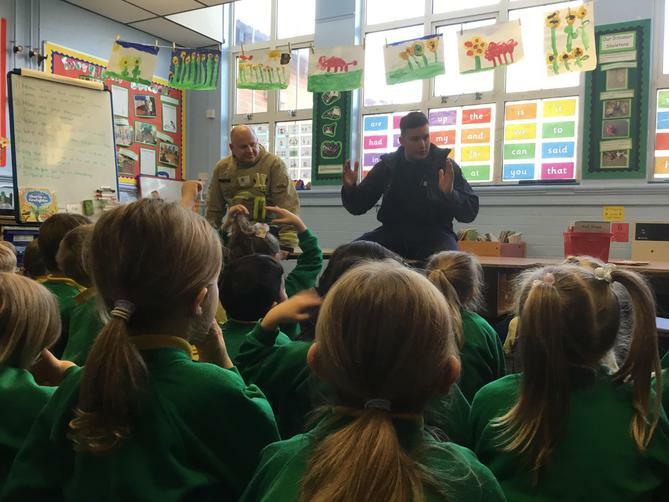 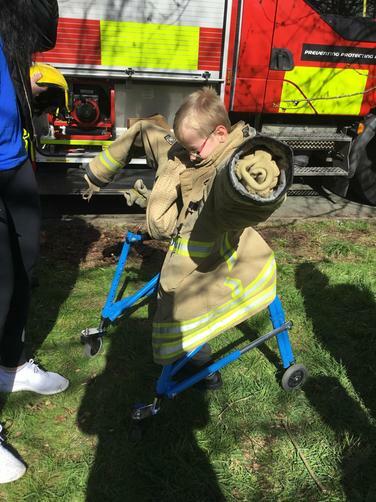 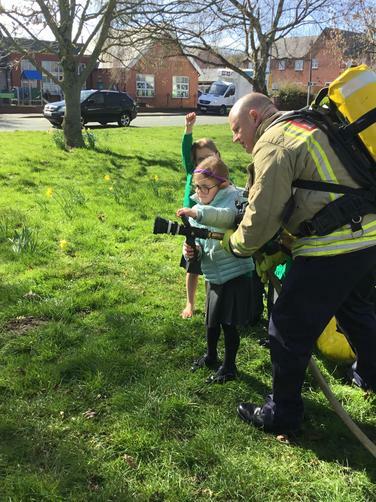 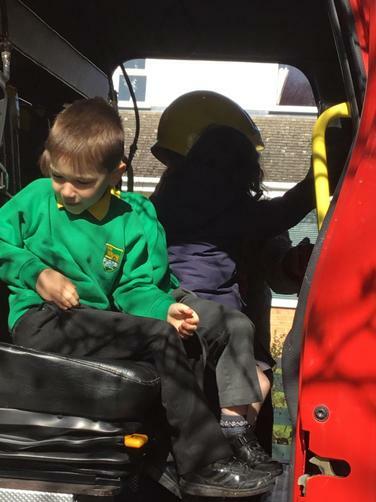 This week has been so much fun with the firefighters visiting. 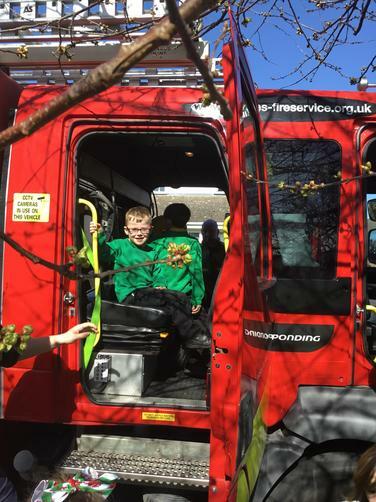 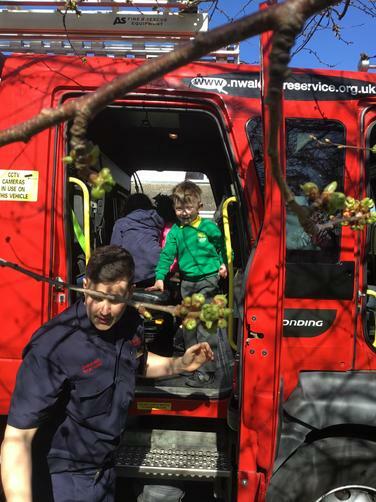 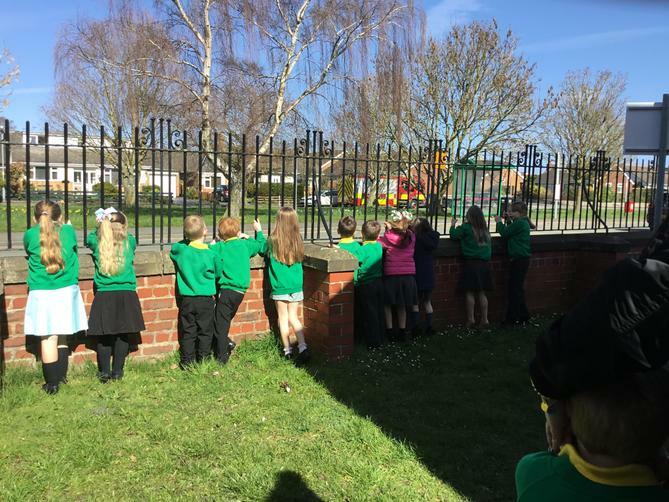 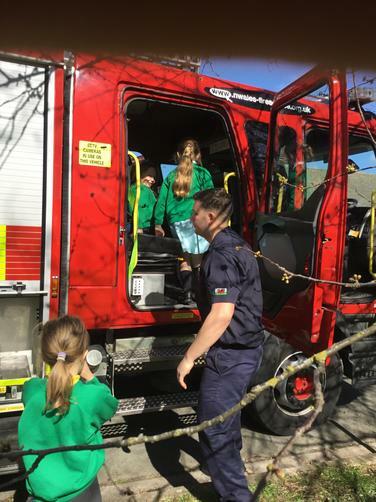 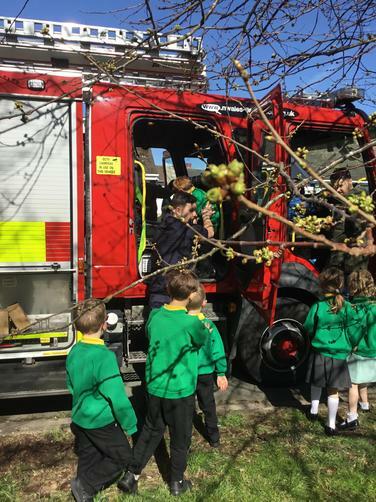 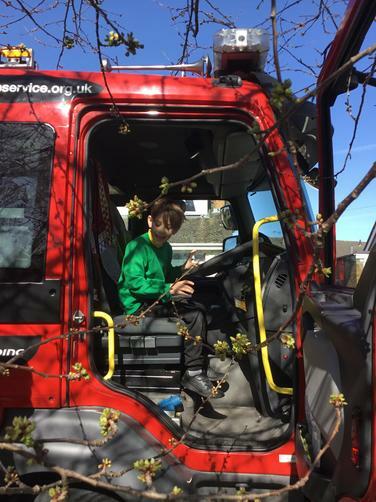 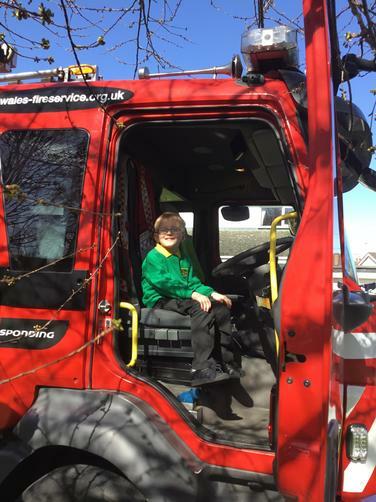 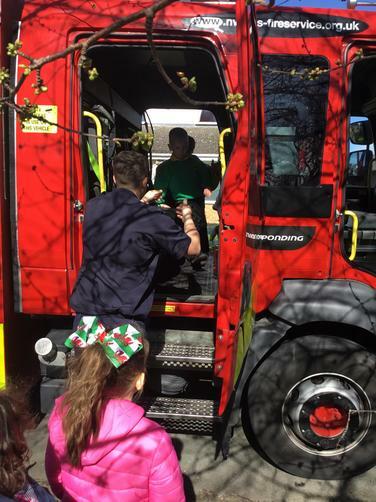 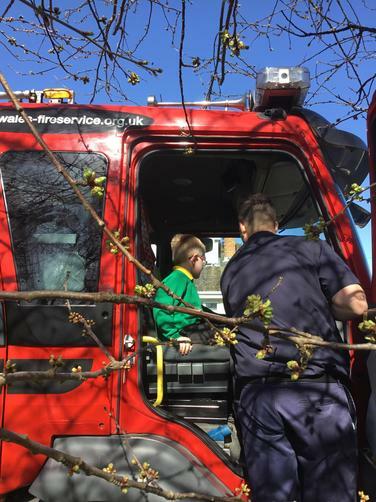 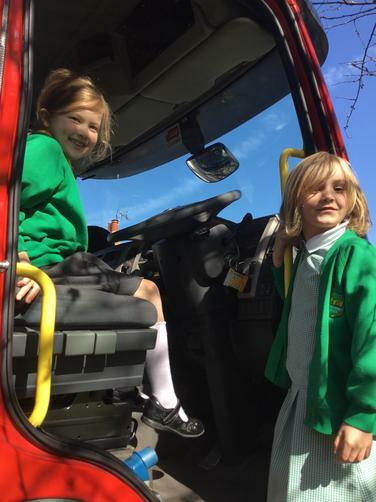 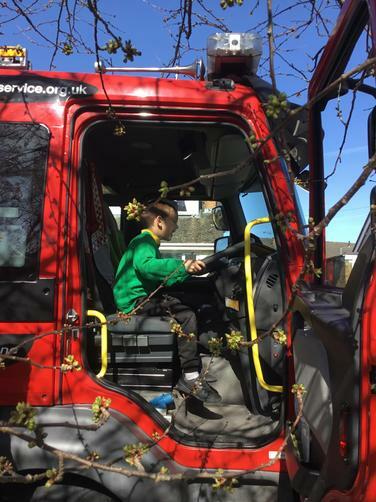 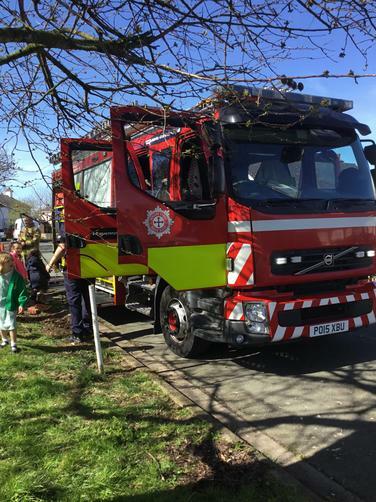 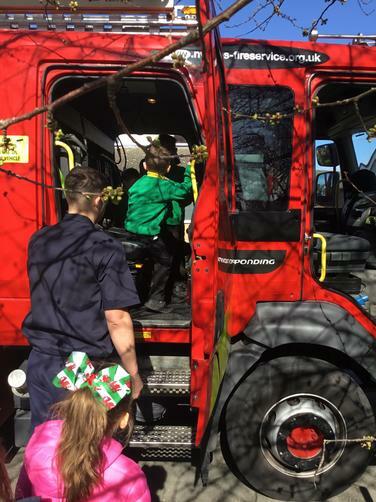 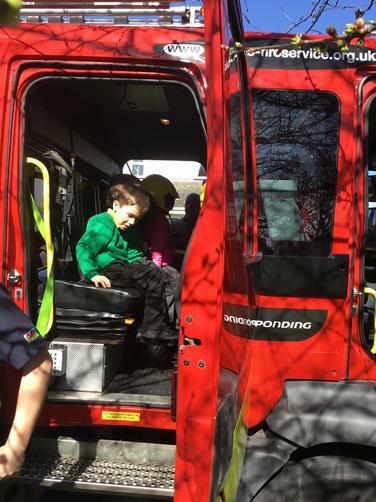 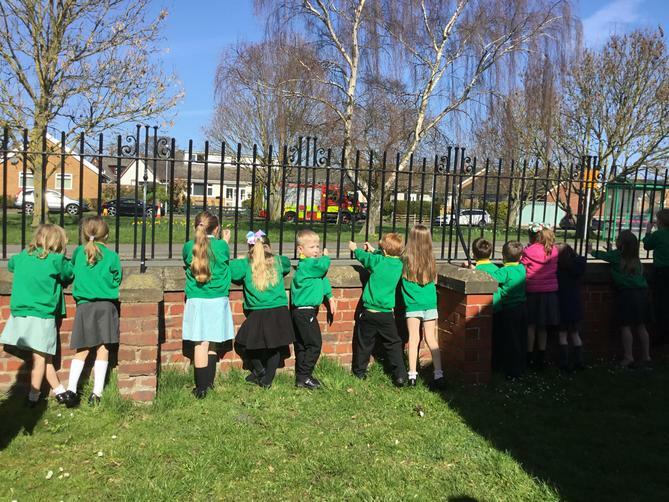 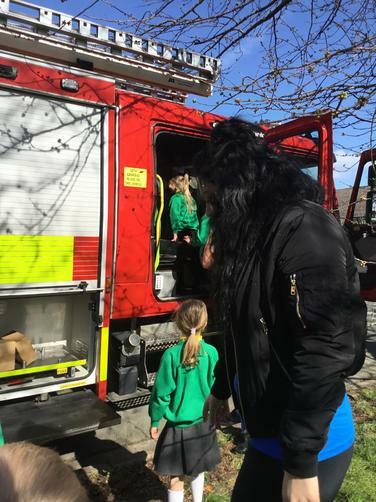 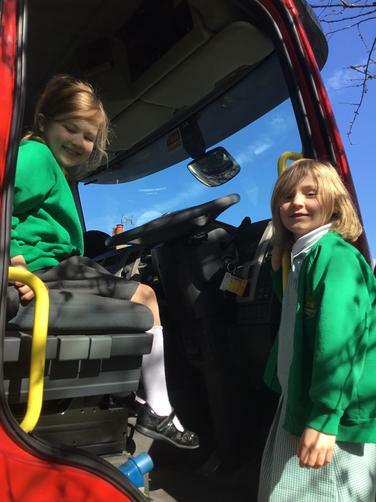 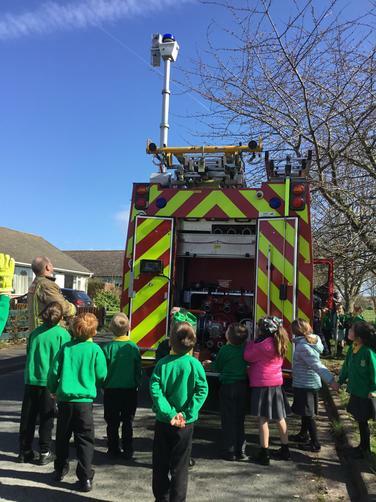 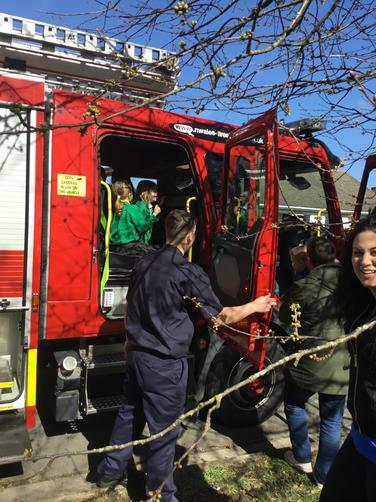 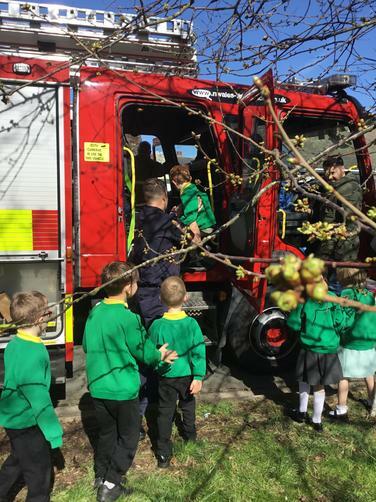 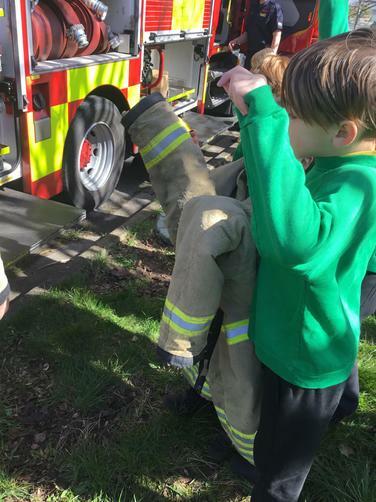 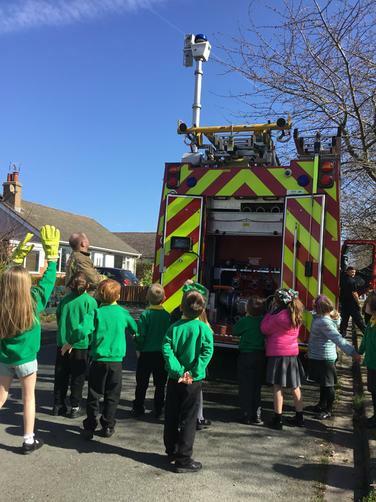 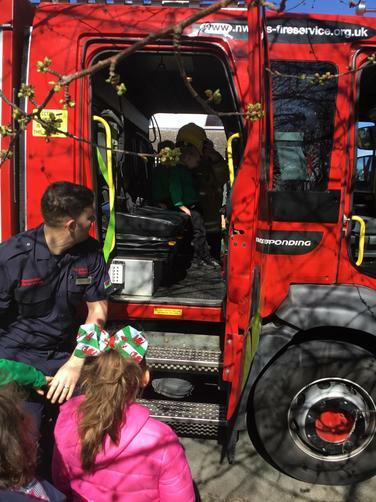 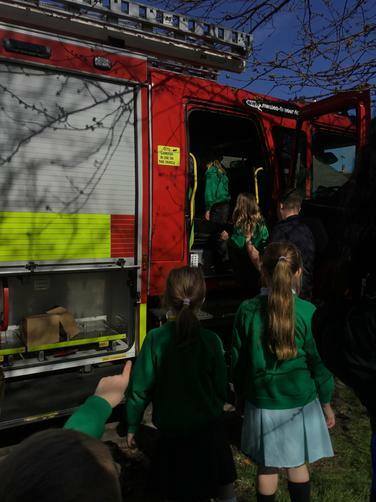 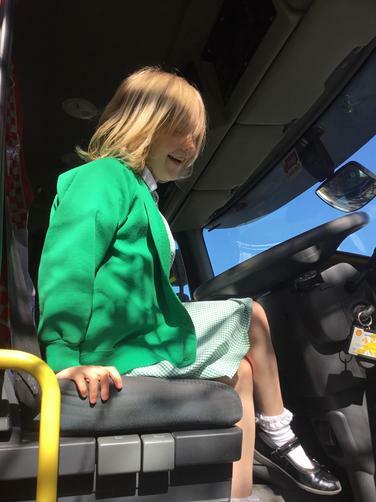 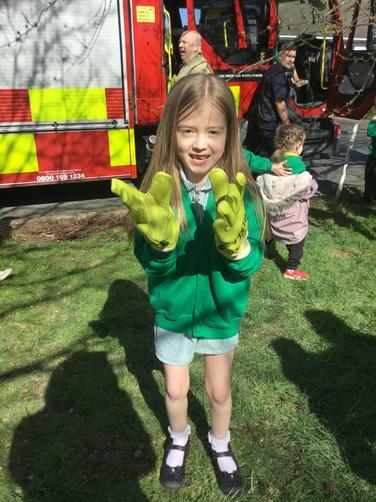 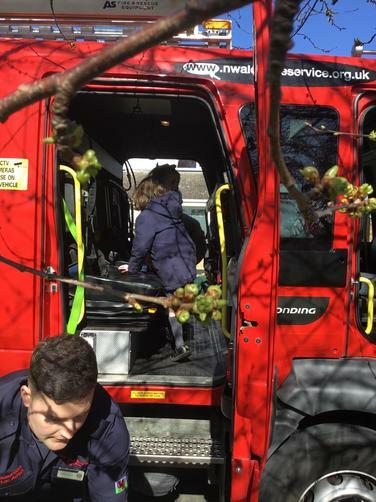 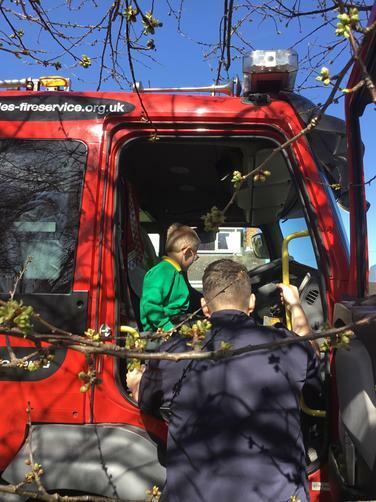 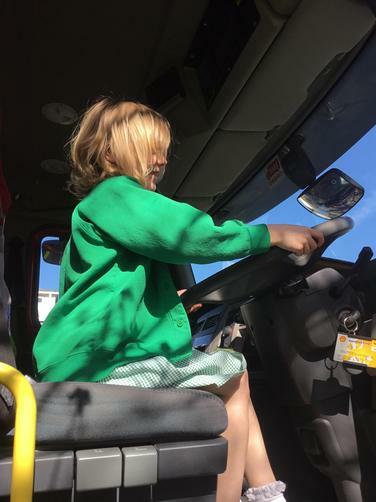 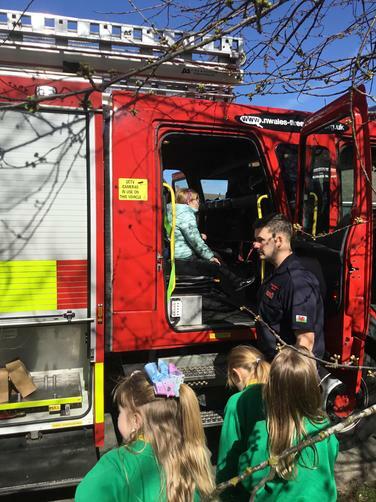 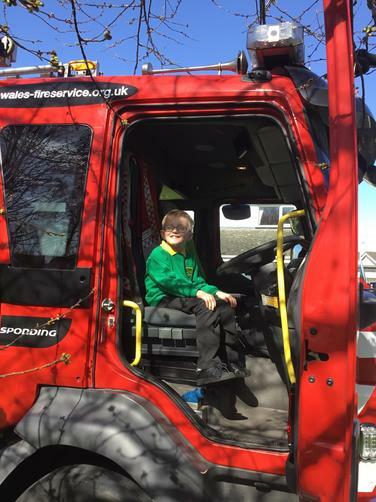 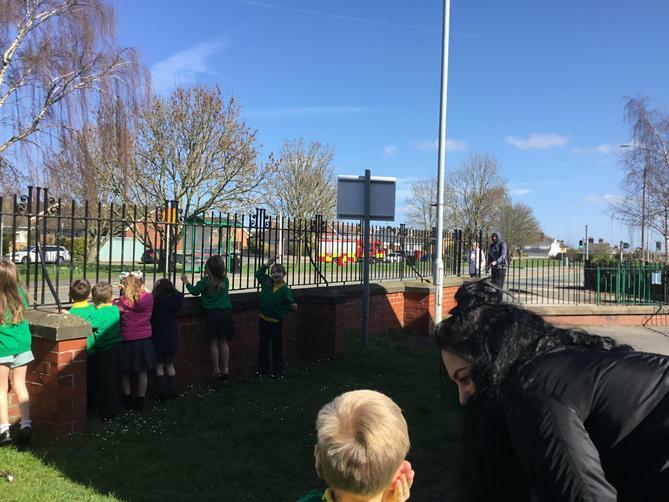 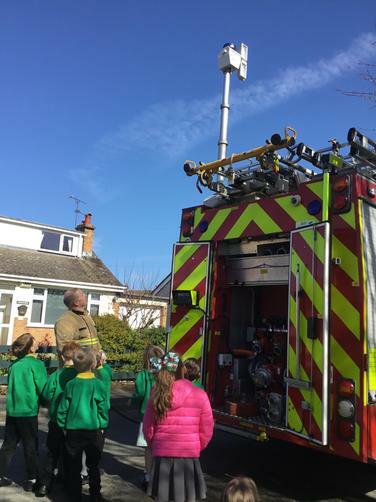 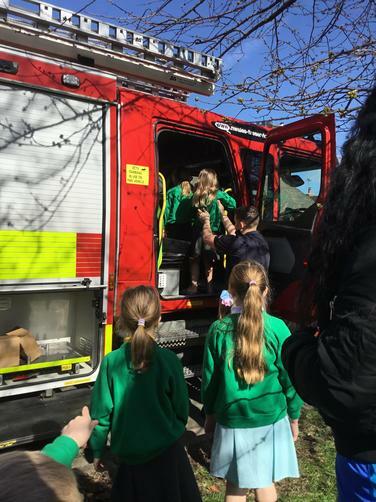 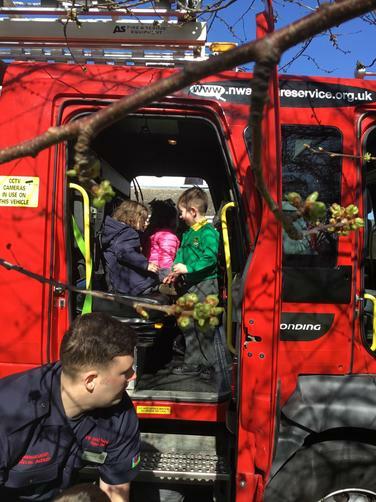 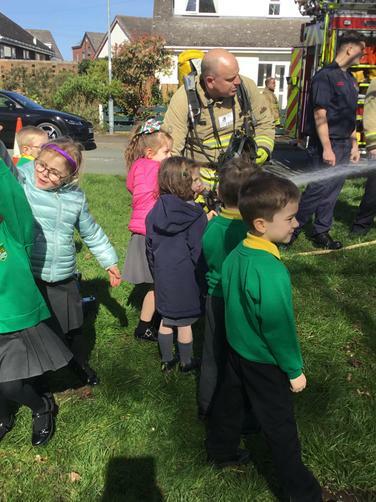 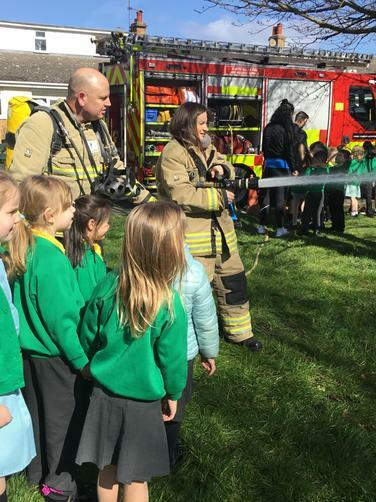 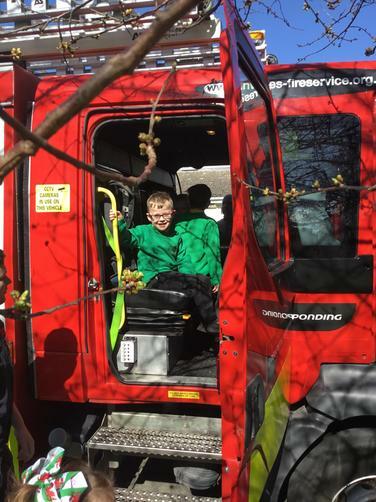 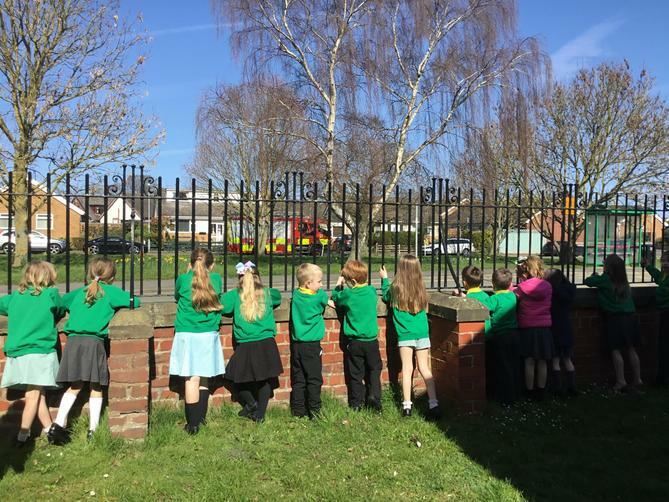 We got to ask lots of questions and have a go on the fire engine. 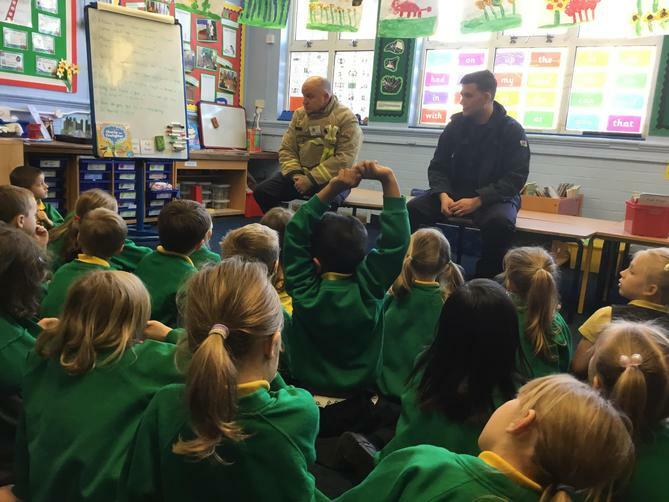 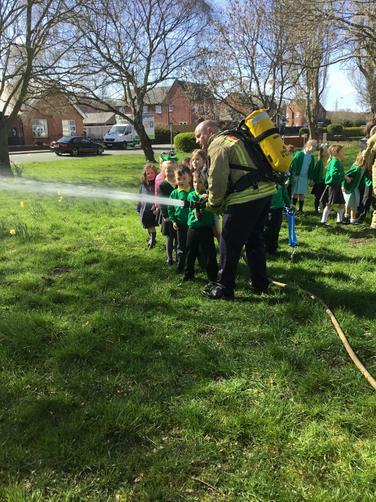 After such a great visit the children thought it would be a nice idea to write a thank you letter to the firefighters. 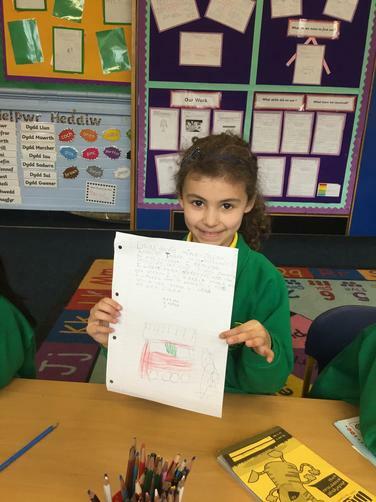 The children have also been busy making and designing posters for the shoe collecting to send to Africa. 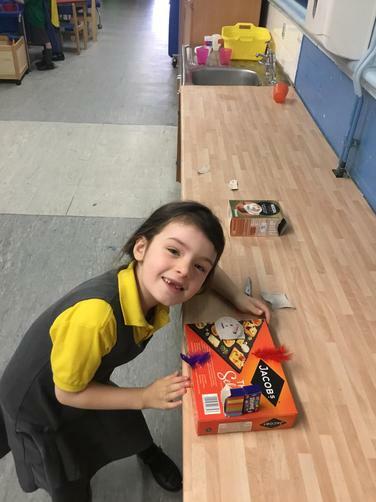 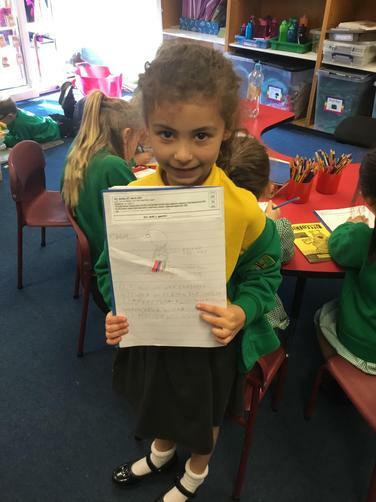 In topic we have been designing capes ready to make in the last week of school, they have been labelled and instructions have been written ready for the children to follow. 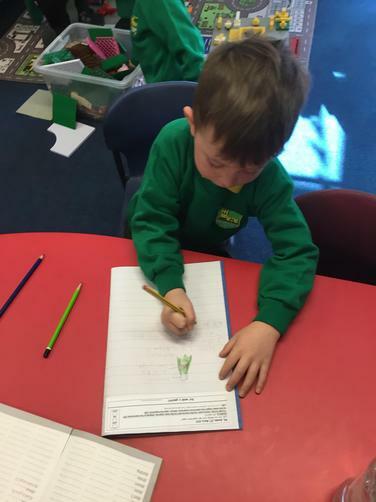 We have been trying our comprehension skills this week by reading fact files and seeing if we can answer the question. 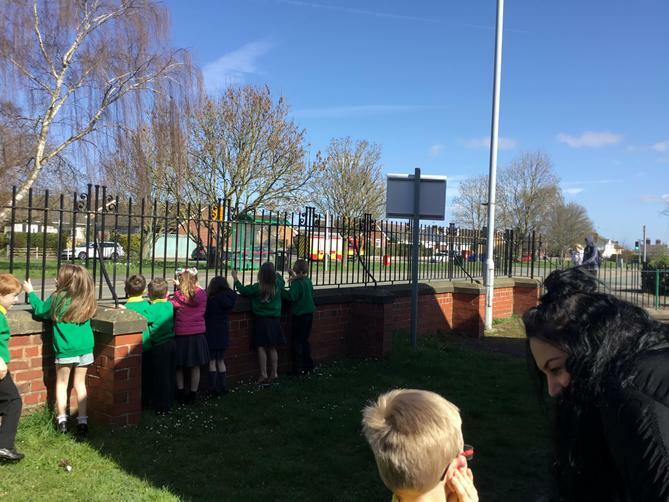 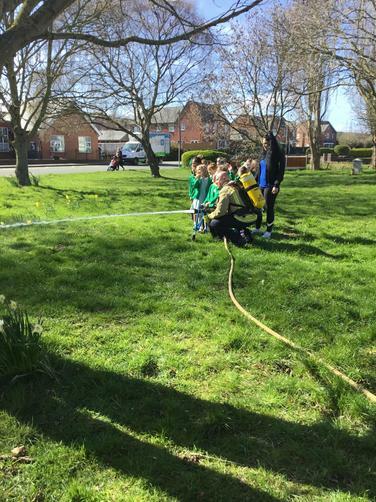 In pe we have managed to get outside and do various throwing activities, it was nice to have the warm weather to get out on the field. 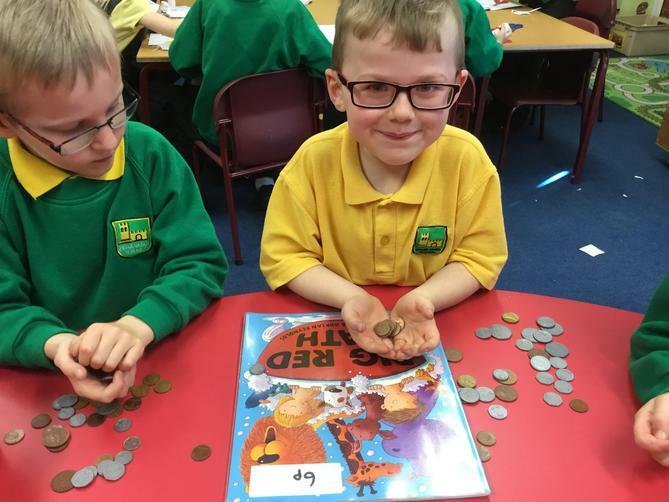 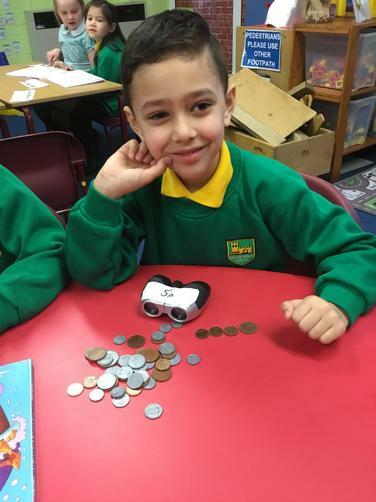 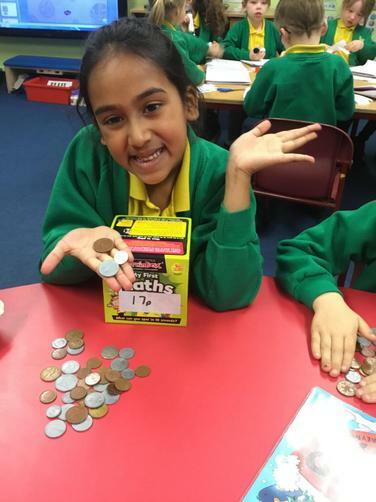 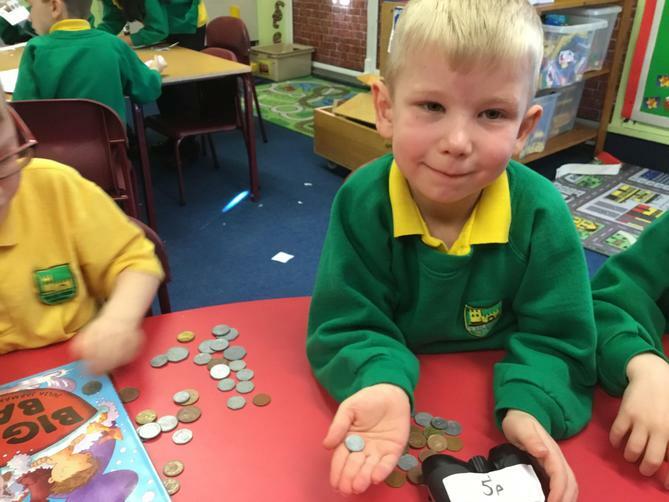 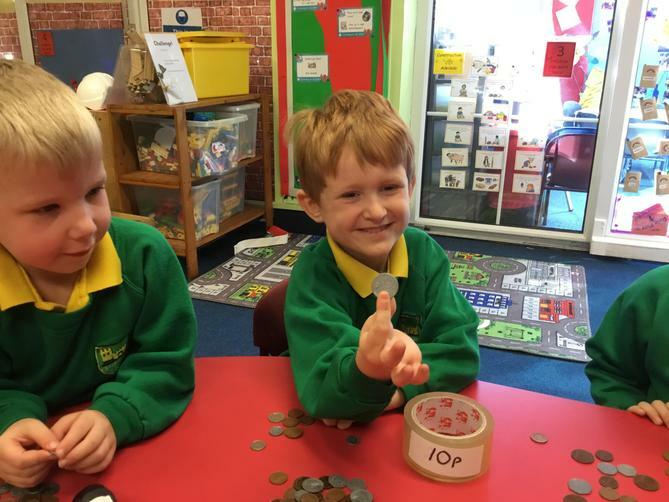 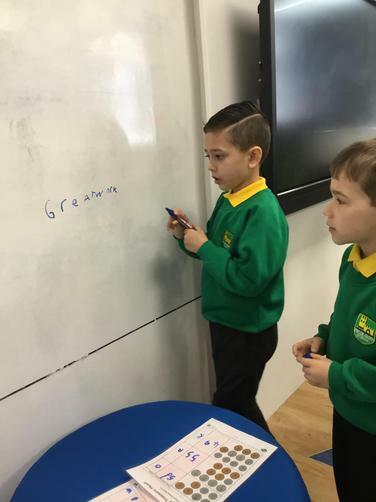 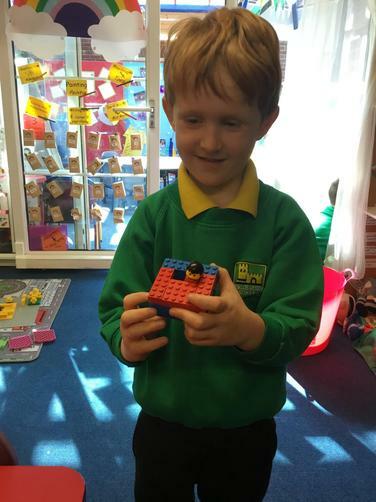 In maths we have been learning about money and adding two coins together. 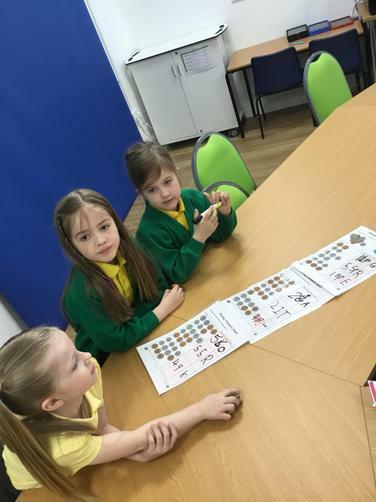 next week is international schools week, we will be learning about Uganda. 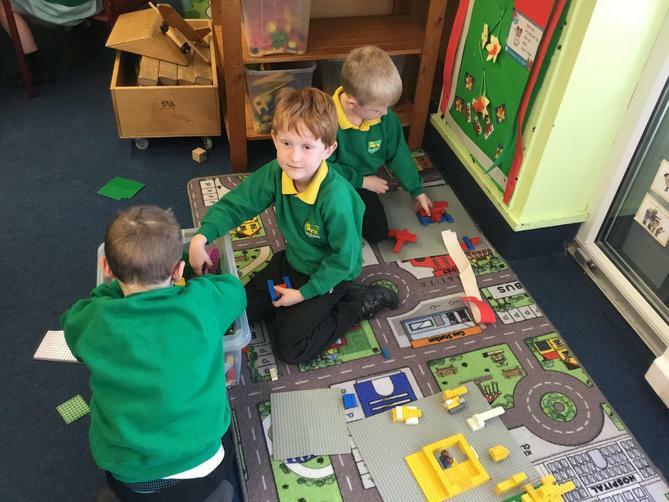 We will be learning about schools and houses. 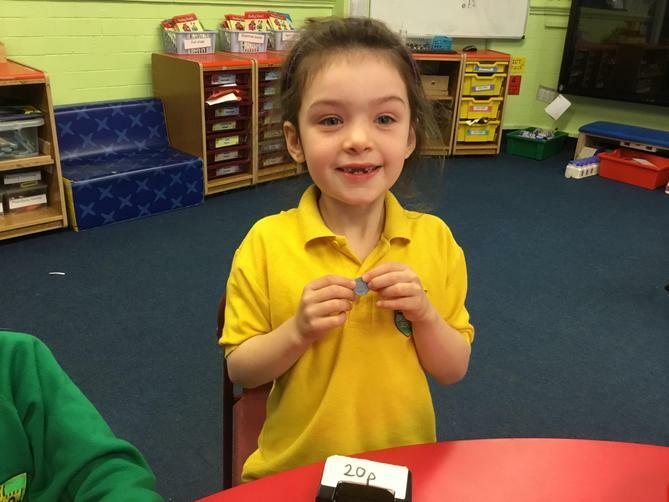 We will be making African jewellery, and learning about the flag. 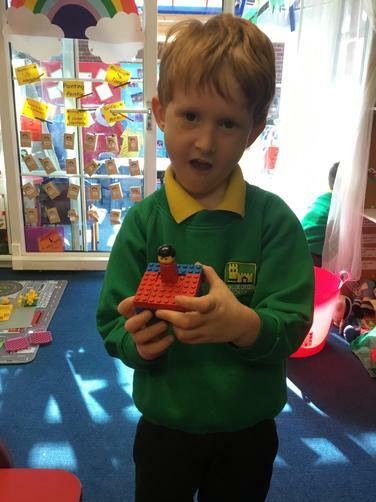 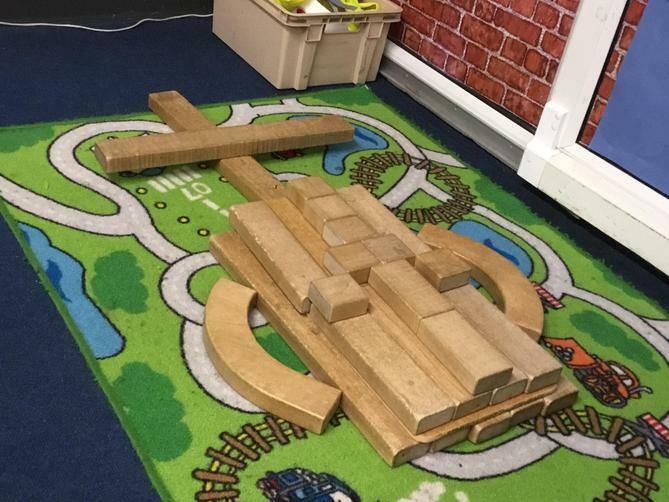 We will be listening to the story Handas Suprise and doing various activities to do with this. 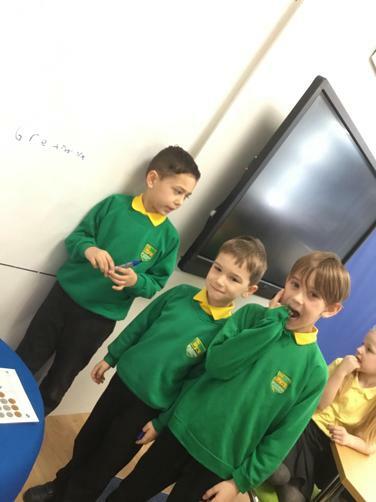 We have fruit sticks to make using fruit from Africa. 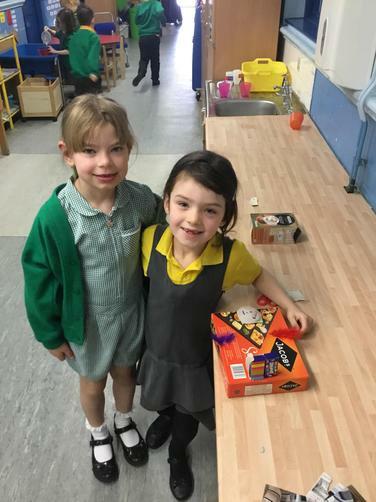 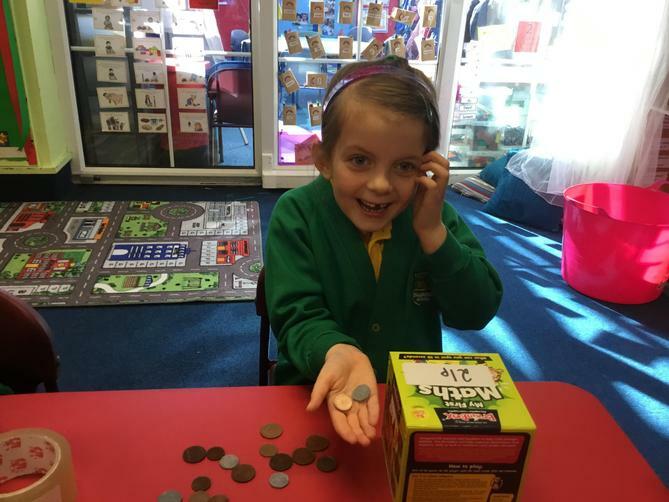 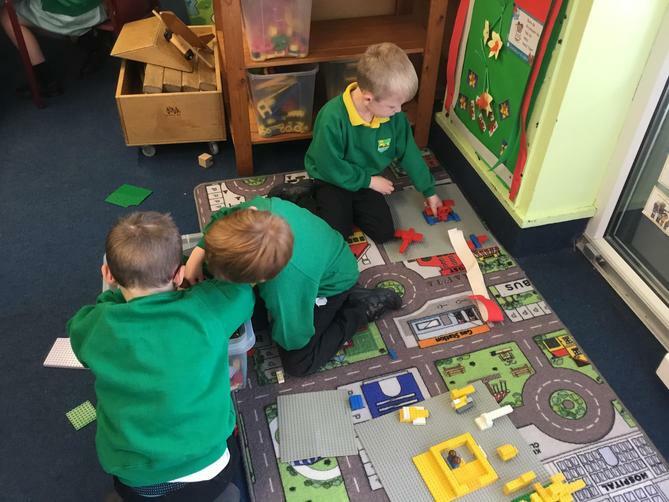 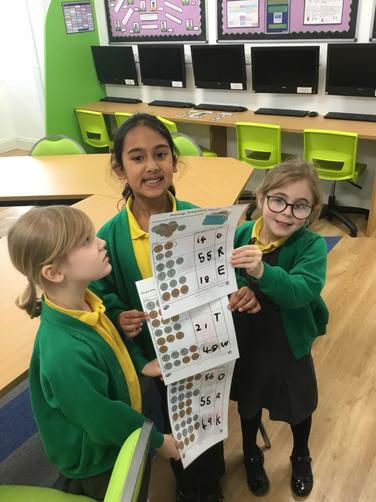 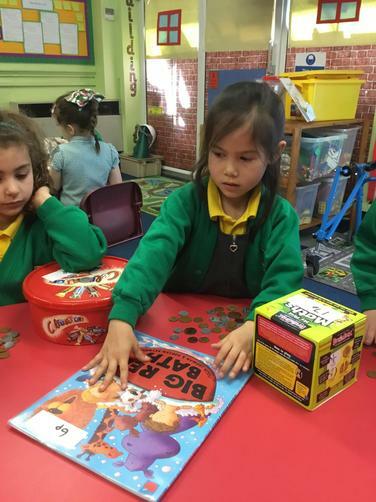 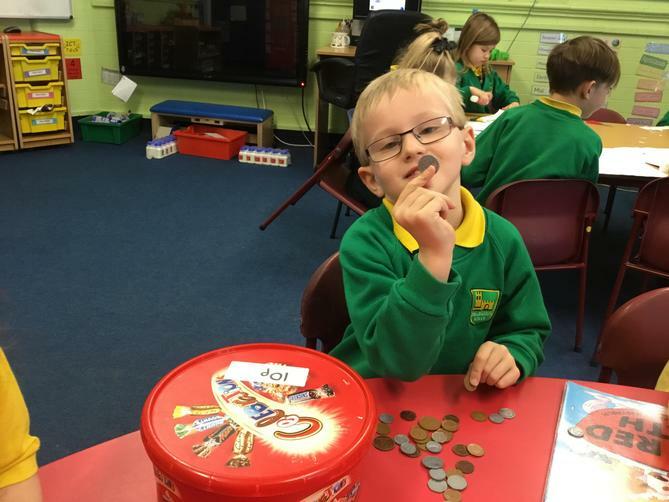 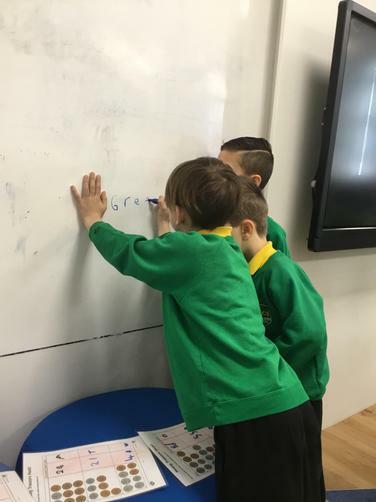 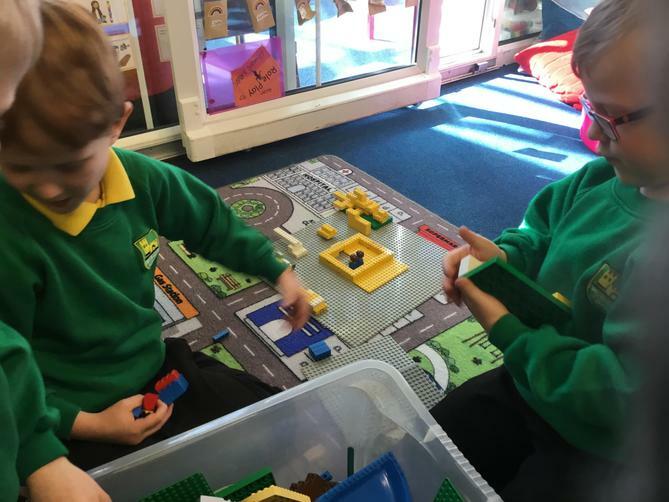 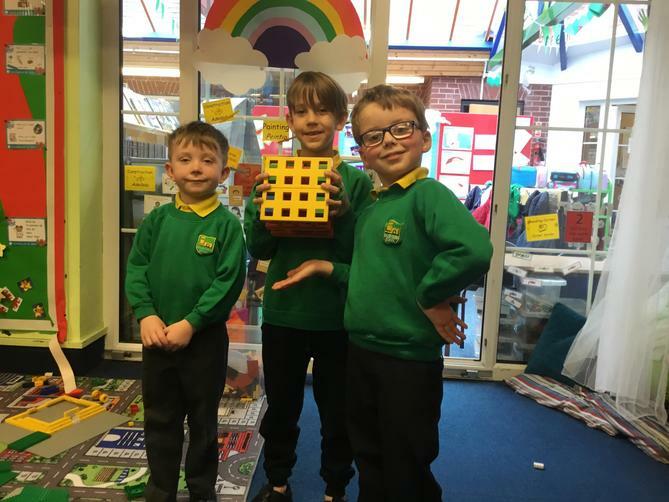 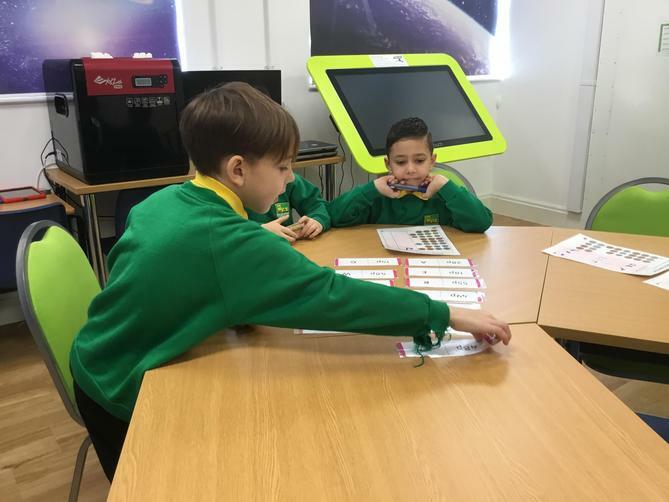 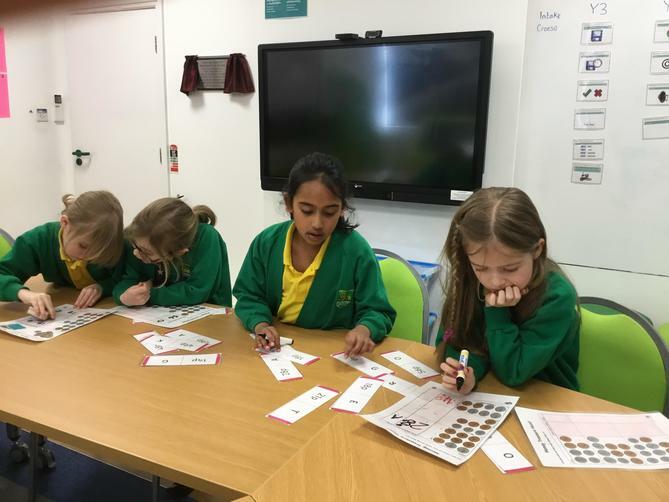 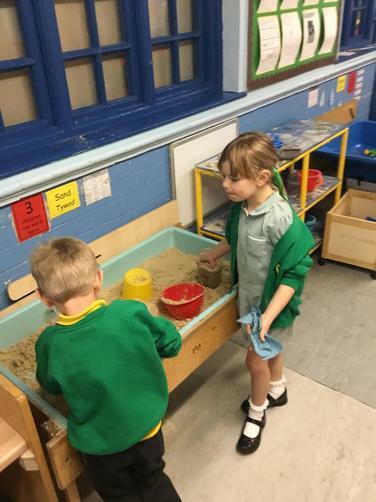 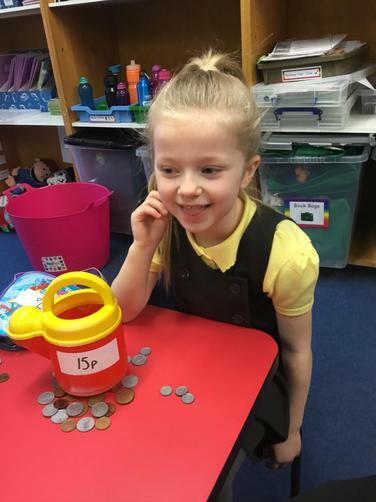 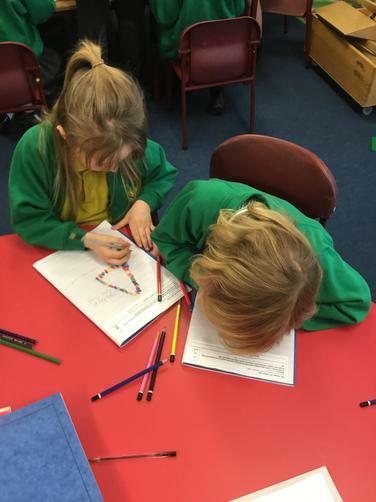 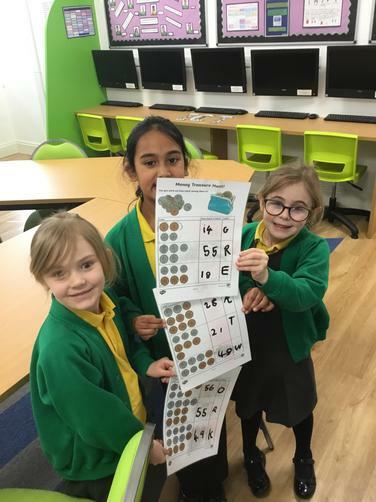 In maths we will be continuing with money, so if you go shopping the weekend see if the children can work out small amounts less than £1 and what coins they will need to pay for them.